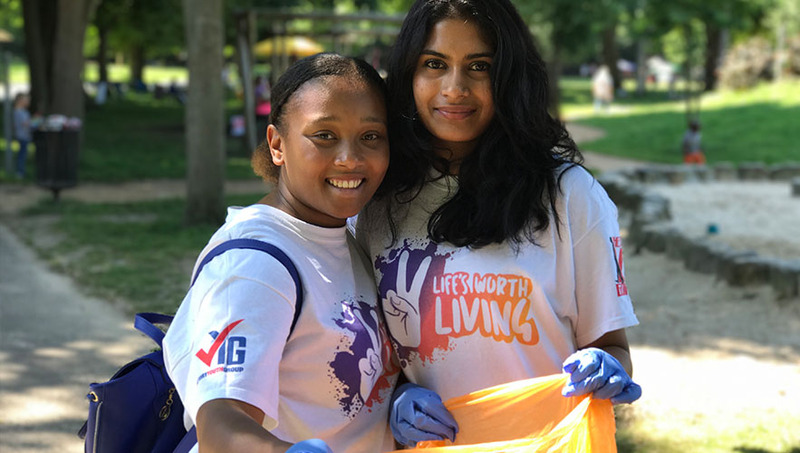 A dozen young people from the Croydon branch of the Victory Youth Group (VYG) volunteered to clean and pick up litter at a recent festival in Wandle Park. This was obviously a great success as they were highly praised by Andrew Dickinson, Croydon’s volunteer and learning officer for community engagement. He said: “The VYG were a fantastic help to me at the summer festival on 17 June by doing litter picking. This meant that the park looked good for visitors”. The 12 volunteers got involved because they wanted to be more engaged locally by giving back, and were also keen to raise awareness of the different ways in which the VYG can be of help to the community. They started by contacting Croydon Council’s clean and green champions department, and the rest is history.